An internship at Hewlett-Packard working in 3D printing with friend and Claremont McKenna College alumnus Shamil Hargovan ’10 never materialized like Louis-Victor (LV) Jadavji ’15 had originally hoped when he completed the Silicon Valley Program. However, three months after Jadavji began an excellent job elsewhere, the two friends sat in a café and had a conversation that dramatically changed the path of their careers. Hargovan at the time was a key leader on Hewlett-Packard’s 3D printing project, a technology that Jadavji had a keen interest in, and some expertise of his own. In the following months, the two CMCers founded Wiivv (pronounced “weave”), a company based both out of Vancouver, B.C., and San Diego that makes custom-fit, 3D printed insoles designed to reduce plantar fasciitis pain, joint discomfort and general foot fatigue. Wiivv entered the market at an optimal time and business has skyrocketed since the company was founded in the summer of 2014. The Kickstarter campaign to raise initial funds became the most funded campaign for a 3D-printed good in Kickstarter history. The company’s success landed Hargovan and Jadavji on the Forbes 30 Under 30 list for manufacturing & industry in 2016, and most recently, the Forbes 30 Under 30 All-Star Alumni list for 2017. The idea for Wiivv developed because of the convergence of the co-founders’ visions. Hargovan had experience in the 3D printing industry in Silicon Valley and had a passion for making customized sports gear. Jadavji had struggled personally with foot and joint pain for many years and had grown frustrated with the orthotics available to him. Also, because of attending CMC and being a part of the Claremont University Consortium, Jadavji had the opportunity to take classes through Harvey Mudd College and gain access to its 3D printers, which he used to create customized car parts. A year before the café meeting, the two co-founders had met by coincidence at the Inside 3D Printing Conference in New York, where they discussed technology limitations, 3D printer yield and market demand. 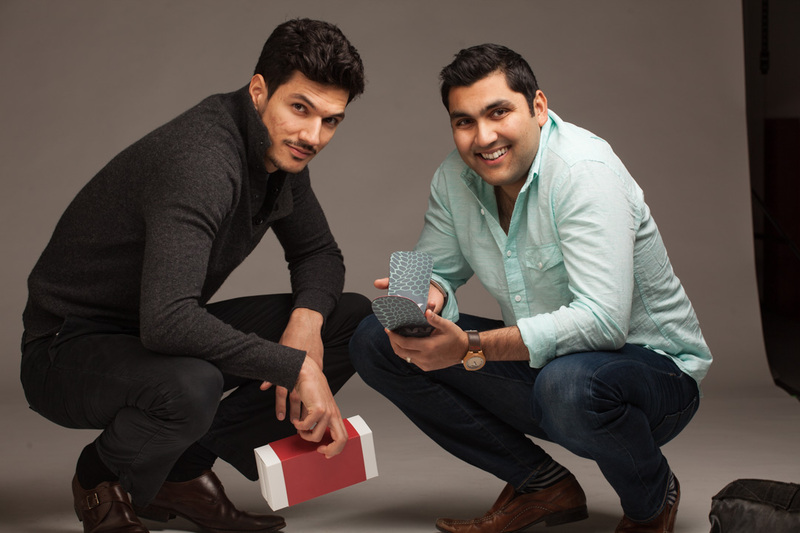 Eventually, they decided to begin their venture by creating 3D printed, custom-fit insoles. “I remember that the Silicon Valley [Program] experience was really foundational, because when Shamil and I were forming this idea, we had access to a lot of people in Silicon Valley to talk to, including the Program founder, the late Barton Evans ’70. We also got a lot of encouragement from folks in the program, peers and otherwise,” Jadavji said. Hargovan did not take part in the Silicon Valley Program, nevertheless, he too credits his CMC education for helping him develop as an entrepreneur and build a network that would prove integral to the creation of Wiivv. In true CMC entrepreneurial fashion, product ideas have kept coming for Jadavji and Hargovan. Wiivv launched its newest product — also featured in Forbes — on March 23, 2017, the Wiivv Custom Fit Sandal, marketed as the world’s first custom-fit footwear at an affordable price. While Wiivv and its co-founders have had a great deal of success over the past few years, to be sure, much more is on the horizon.